When people go online, they’re looking for two things: Information and entertainment. Think of it this way: You’re reading this right now in order to get information, right? The reason why you’re trying to get information is because you need a solution to a problem. In this case, it’s needing ideas for your content marketing efforts. Google has become such a powerful tool that if somebody needs to be educated on a particular topic, information they need is instantly available. Those who are looking for entertainment are certainly not a minority. We have all become reliant upon the Internet in order to make us laugh, kill time, keep our kids quiet and build our online persona. According to MerchDope, almost 5 billion videos are watched on YouTube each day and soon online video content will overtake traditional TV services, such as cable and satellite. Aside from videos, we’re constantly checking (my wife likes to call it ‘stalking’) social media, listening to podcasts or reading blog articles. The options seem to be limitless when it comes to finding entertainment online. The web has enabled us to stay both constantly informed and constantly entertained. This is great, but where do the customers come in? Turns out, your customers are actually the most important part of your online presence. Those who purchase from you are the reason as to why your business exists. You rely upon their spending with you. That’s why you have a website and spend countless hours creating content to both educate and entertain your audience. It’s an attempt to build awareness for your brand and create demand, but the challenge here is that it’s very easy to look desperate for their attention. Our ultimate goal as content marketers is to generate engagement and increase conversions, but instead of guessing what will produce this result, we should be asking our customers for the answers. If we can understand what they’re looking for online and produce content that adheres to that, we suddenly become their go-to source for education and entertainment. Below, I wanted to share some of the questions I ask existing and prospective customers in order to inspire new ideas for content that both entertains and educates. I’ve split this into two sections for clarity: Educate and Entertain. As a note here, these questions can still be used if you are offering a service instead of a product. Just read service or trial instead of product. When you are thinking about purchasing X, what excites you? Have you ever been so excited about something you’ve bought before that you had to take a photo with it and upload it to Instagram immediately? I have a friend who gets so excited about stuff she’s bought that she will stream the actual opening of the box live on YouTube. You have my permission to judge her, right now. But to be perfectly honest with you, I have done something like this before. In my spare time, I love to play guitar and I’m a massive geek when it comes to guitar pedals, as is one of my best friends who also happens to be my old guitar teacher from 10 years ago. He showed me his new effects pedal and let me try it. I felt really bad for him as I spent the whole day using the pedal and didn’t let him have a chance with it. The pedal… It’s pretty awesome. It was a crazy pedal that made the most amazing sounds and the options seemed endless. Naturally, this meant I absolutely had to order one instantly, so I grabbed my phone at the end of the day and ordered one from a UK store. The next day, it arrived! What this brought me was a double-whammy of excitement as I got this amazing product that I’d been looking forward to owning and it came in a very timely manner from a shop (that I won’t name) that doesn’t have the best reputation for fast deliveries. • Testing the product and becoming emotionally attached to it. • Ordering it online with ease. • A fast, timely delivery. • The fun process of documenting its arrival and reveal to my Instagram followers. • Expectations being met with the appearance and sound of the product. For the shop themselves and the manufacturer of this guitar pedal, there is an opportunity to use my excitement for their marketing. For starters, they can quickly send me an email (which they have on record because they emailed the order confirmation to me) to find out if I am satisfied with the product. This is an important question and when I respond with a glowing review, they then have an opportunity to contact me a second time to find out what I liked the most about the experience: Purchasing the product, using the product, or something else? Through understanding what excites a customer, you can understand what the best parts of your buying process are, even if it’s using the product itself. With this, you have a new opportunity for content. Using the guitar pedal as an example, the manufacturer or shop could gather an understanding of my excitement stages, then ask if I could be an advocate for the product. As an idea, this could be myself playing guitar whilst using the pedal and explaining why I like it so much. As an incentive for me doing this, the manufacturer or shop could then offer me an exclusive discount. They’ve got amazing content created by a very happy customer and the customer gets a reward that makes them even happier. It’s a win-win! When you’re thinking about purchasing X, what scares you? I would be lying if I said that all purchases were a smooth process. There will almost always be some kind of hesitation. We are creatures of habit and function on consistency, so the prospect of buying from a new company whose reputation or products are unfamiliar to you can be a little daunting. Sticking with the guitar pedal story, I hesitated slightly when purchasing because I was worried the delivery could take a long time and it’d be hard to get a refund, due to the reputation this shop has. After weighing up my other options, I made the leap and bought the pedal. However, it should be remembered that not all customers for this shop will take the leap as I did. You can’t rely on guessing what people’s hesitations might be, so you need to do the research in order to find out the cause. You can then focus on these worries and build an entire campaign around reversing the ‘anti-buying habits’ of people. Something else to note when it comes to a buyer’s hesitation is that if you are working to reduce their fear, it enables you to make their buying journey more personal and prove that they mean more to you than just a sale. We always talk about making things personal for our customers. This is an action you can take in order to achieve that. Knowing that my main purchase fear with this shop was the delivery and refund, they could focus their efforts on educating audiences on how fast their delivery times are and making their refund policy easy to understand. How often do you need to use X and why? Even if your product is a necessity rather than a luxury, like water, coffee or toilet paper, you still need to find out why your customers are purchasing it on a regular, or irregular, basis. I’m going to change things up here a little bit, as guitar pedals are most definitely a luxury. Coffee is one of the most traded products on the planet, so I’ll use that as an example. One customer may be purchasing coffee on a weekly basis for their office supply. Another customer may be just buying it for guests. Personally, I don’t drink coffee but a lot of my friends do and so I keep a stock in my home. By asking the question, a coffee manufacturer would learn this. With this type of information, you can create content around the reason why most people are purchasing your coffee. If they are buying it to keep their office kitchen stocked up, you can focus your content on office-related topics or office antics. Customers like myself, who buy it for guests, clearly enjoy having people visiting and so the content should focus on house parties and house hangouts. Perhaps most of your customers are keen gamers and use the coffee for late-night gaming sessions? That’s an idea for content! As an example, which headline sounds more appealing for a group of gamers who need coffee for their Fortnite sessions? Your content should be related to your customer’s usage and the reasons for their usage. The truth is, I didn’t realise I had a problem until I learned of the existence of this pedal. Not having the pedal became a problem to me. But the thing is that your product or service may very well be solving a large problem for people. Perhaps this problem is different to what you had previously imagined and that is precisely why you need to ask your customers this question. 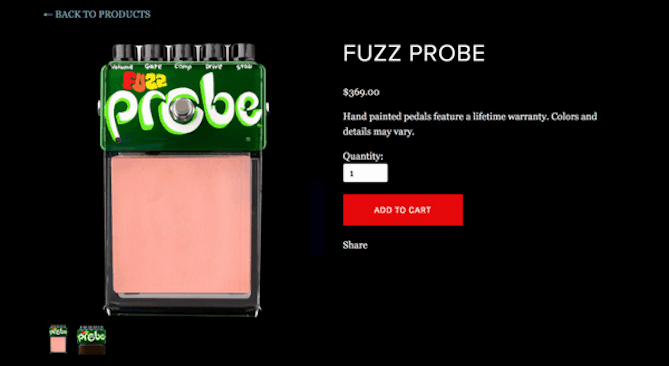 Guitar fuzz pedals that sound too clean probably won’t be the initial thought people have, but you need to analyse and break down what they do think of. By doing so, you can create content that focuses on the solutions they require. As said before, you may be surprised at why people use your product and therefore you may also be surprised at the daily struggles your customers face. Something I regularly look at when creating content are the emotions involved with your products. Your content can reflect their problems and the emotions they create. For example, call centres drive people mad and if I ever get an issue with my pedal, I’m going to dread calling that helpline. Call centres are annoying and get us very worked up, but you have to agree when I say they are boring. Just on a personal note here, I used to work in a call centre and this video is very true. But aside from the entertainment factor, this is very much the perception people automatically have when the words call centre are mentioned. If your product is supported by a helpline, then you can create content around how efficient your call centre is and how people will be happier after dealing with your customer service team. This can not only be informative, but entertaining as well, which leads us nicely onto the next section of this article. Which is more important to you: price or quality? When I ask business owners about their product or service, they are always keen to quickly tell me how they are the cheapest or the highest quality. Are they saying that because that’s what their audience wants, or because that’s what they think their audience wants? As an example, new guitars usually look flawless, but the road worn look has become the new, hip thing to own. This is despite them never actually having been on the road before. No, no, this really is a brand new guitar. The main point though is that they are cool, and that goes a long way when your target audience want to pretend they’re rockstars every time they pick up an instrument. 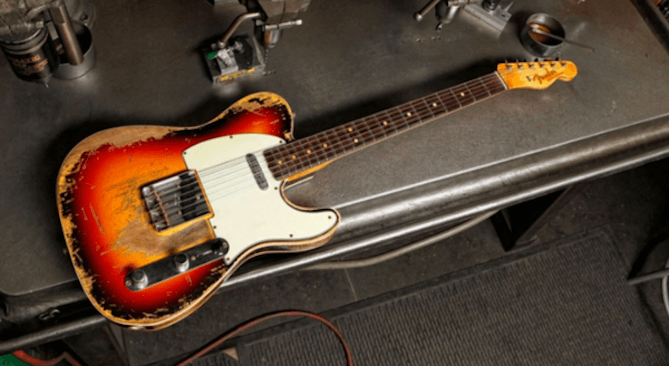 Getting a bespoke guitar built by Fender’s Custom Shop is expensive as it is, but customers are willingly paying literally $100’s more for the builder to bash it, scratch it and burn it, just because it’s trendy. By asking customers whether price, quality or cool-ness of the product matters more, you no longer have to take wild stabs in the dark as to what you think they care about the most. Rather than generically thinking about price, simply let your customers tell you what they value so that your content matches those values. Why do you choose us over another company that sells the same product? This is kind of like the million-dollar question, as this will tell you the actual advantages you have over your competitors. Sometimes it can be something simple like your branding being a bit cooler, but I can bet you probably didn’t know that you were a cool brand until after you asked your customers. Other times, it can be more along the lines of company ethics or an environmental policy. Whatever it may be, just be sure to take advantage of it and let the world know why you’re so much better than your competitor. You can have an entire marketing campaign around why you are so much cooler or more environmentally aware of your competitors and educate them in an entertaining manner. You shouldn’t go into a major negative rant about how bad your competitor is, but you do need to address why your customers choose you. For me, this will probably always remain one of the best video campaigns ever, as it not only addresses why people choose Dove, but it also invokes emotion. I mentioned emotion earlier, but the important thing to notice here is how people choose Dove’s products because they empower women. If you buy a Dove product, you are supporting feminism and that’s a big deal. Dove have realised this through asking their customers and are flaunting it. There are countless tools out there which are designed to help us develop new content marketing strategies. The thing is, whilst these tools can be useful, we’re losing sight of the most important and useful source available to us: Our customers. With the feedback our customers can provide, our content strategies can have a solid focus and you can create content with an understanding as to why you’re doing it. So, start asking your customers these questions and build your content around their answers.